Have you ever read a book that just reached right out and punched you in the heart? The kind of book that made you stare at it for a while after you finished it, wondering just how your life was going to be different from then on? Because it had to be different, simply because of that book. 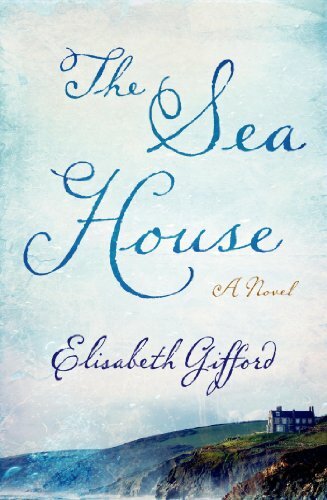 The tone of the book very well portrays the loneliness and the magic of living near the sea, combined with the solemn desperation of infertility. What struck me most was the exploration of sirenomelia, also known as mermaid syndrome. Having had a daughter born with a cancerous tumor, any plot element around a baby with a birth defect or a miscarriage gets me right away. I’ll be honest, it didn’t help that my last name is part of the name of the syndrome. Let’s just say there’s some significant water damage to the pages of this book. The book switches back and forth between Alexander Ferguson, a vicar and evolutionary scientist in 1860, and Ruth and Michael, who have purchased a house by the sea in the hopes of making it a home for their future family. They find the bones of a baby with mermaid syndrome under the floorboards, causing Ruth to not only pursue the truth behind the deceased child but behind her own relationship with her mother. I’ve had The Sea House sitting on the corner of my desk for a while, planning to write a review. But I was so involved in the reading that I didn’t even make any notes, and I couldn’t think of anything quite sufficient to say about it. It’s just that good. It’s unique, it’s haunting, and it thrashed my heart into a hundred pieces. This volume has earned a permanent place on my shelf. Thanks for dropping by! If you liked this post, be sure to subscribe and find me on Facebook.